In 1976 we invented a new product category: Virtually Indestructible Protector Cases. 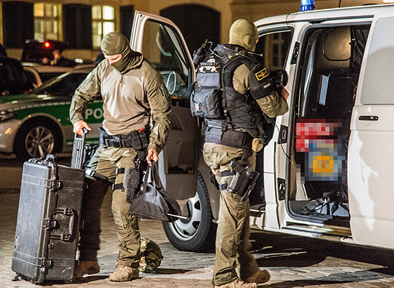 Since then, Peli (in Europe) has been the original manufacturer of the genuine Peli™ Protector Case™, the toughest, high-impact resistant, dust proof, chemical resistant and IP67 watertight case for extreme protection. Rugged, uncompromising and trusted. Peli protects what matters to you, from the everyday to the extraordinary. Proven for over 40 years in the most demanding environments. 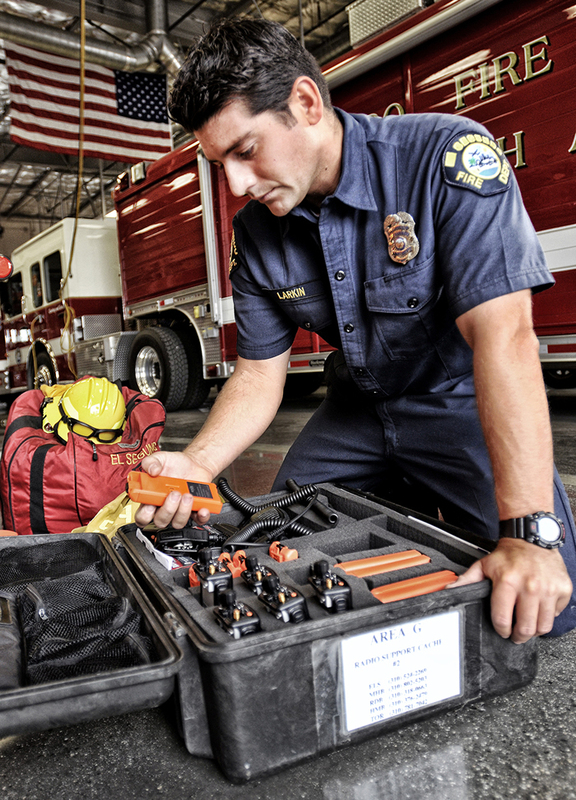 Engineered and manufactured in the U.S and in Germany, Peli is the brand preferred by the professionals. 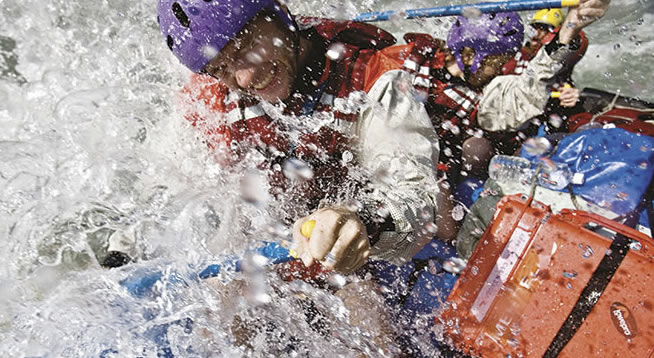 Peli products are built to the highest and most demanding standards. 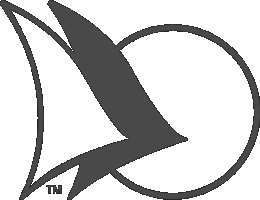 Constantly innovating and always exceeding expectations. 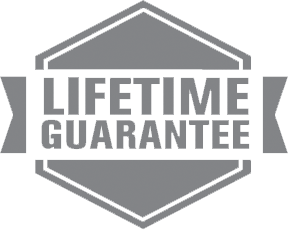 That’s why all Peli Protector Cases oﬀer Lifetime Guarantee. Peli is engineered for life. What is a Protector's Case? 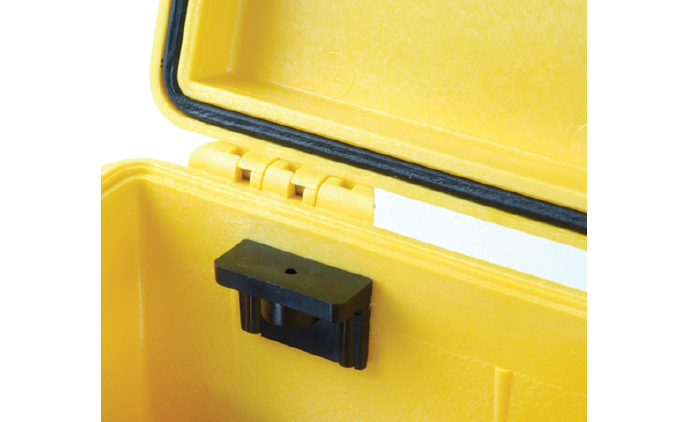 Peli™ Protector Case™ is the legendary range of injection moulded cases in copolymer polypropylene to protect sensitive devices of different sizes. From small waterproof cases for delicate equipment, such as camera cases or compact boxes for drones to crush-proof big size cases with wheels to transport any engineering instrumentation intact and functional. Stronger by design. Peli Protector Cases™ uses an open cell core and solid wall construction, which is actually stronger and lighter than a solid core wall. Stainless steel ball bearing wheels (on selected cases) last longer and ride smoother on the most irregular surfaces. Provide added strength and extra security against cutting and theft. This unique latch system holds tight under extraordinary drops and impact, but is still easy to open. 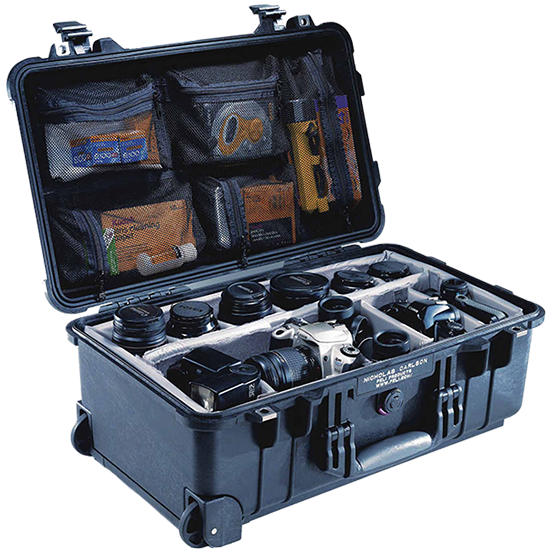 The secret of the watertight seal and Peli Cases is the tongue-and-groove fit with a polymer o-ring. Releases built-up air pressure while keeping water molecules out, resulting in an easy to open, watertight case. Stainless steel pins are used for hinges and handles. Interior protection is available through different type of systems, which will allow you to adapt the interior according to the shape of your equipment. All Peli Protector™ Cases except 1700, 1720 & 1750 come standard with our exclusive "Pick N Pluck™" foam: A: an easy, do-it youreslf system to custom-shape the interior of the case according to your needs. 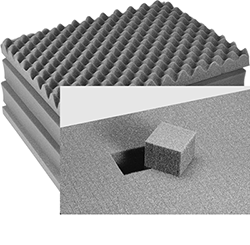 Layers of foam are pre-scored in tiny cubes. 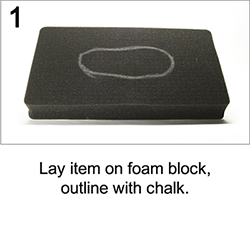 Simply measure your equipment, use tape or chalk to mark the foam, and pluck away. 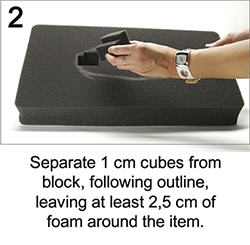 Besides the basic Pick N Pluck foam, Peli offers foam inserts which can be cut according to your equipment B. The perfect solution for the perfectionists who want the true custom fit . 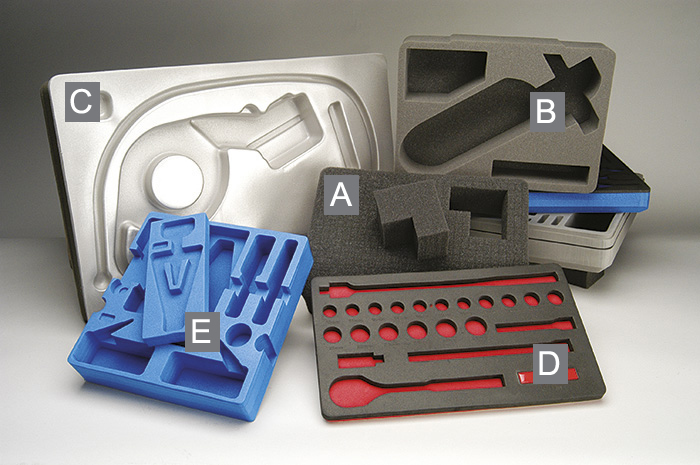 Just send us a sample of your product and we'll configure the case size and the foam per your requirements. Better yet, provide us your CAD files and we'll take it from there. We offer a wide range of materials depending on your needs. For extremely sensitive equipment like microchips and circuit boards, materials with antistatic properties and foam that protects against electrostatic discharge are available. Where purity or out-gassing is an issue, crosslinked foam expanded with nitrogen C is chemical resistant and perfect for medical equipment and some electronics applications. Need to keep track of your tools? Foam tool organisers will make your life easier. Colour contrast design tells you in a quick glance if all items are accounted for. Eliminate FOD (Foreign Object Damage) D caused by tools left in aircraft engines or other equipment. Availalbe as single or multi-layer with compartments E.
The TrekPak system uses pre-installed wall sections, divider panels, locking pins and an infallible cutting tool. Just lay your gear in the case, measure and cut the divider sections and lock them in place with the steel U-pins. An alternative to organising your supplies and equipment inside your Peli Case is our optional Padded Divider Sets available to most cases. Made of durable nylon and foam. Extremely versatile: you can change the sizes of each compartment as necessary, thanks to the almighty Velcro®. Made of leather or waterproof Ballistic Bylon with nylon zippers. Multitude of pockets in various sizes protect and keep your gear organised. Installs with hook and loop strips (included). 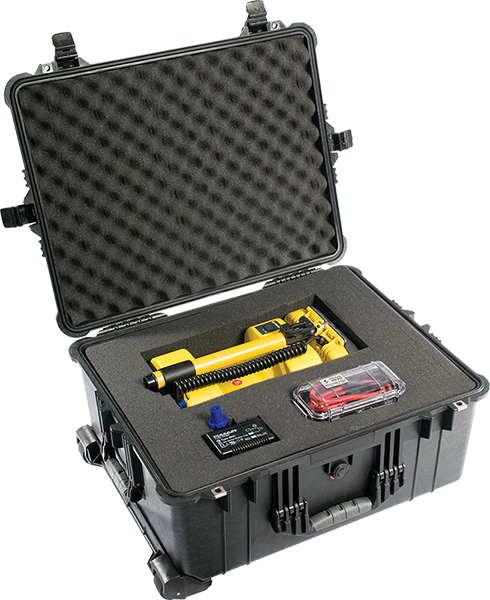 Peli Protector™ cases have evolved over the years to accommodate the needs of electronic engineers and their OEM projects. Injection moulding provides a reliable, durable, ready-to-ship enclosure with consistent dimensions. The co-polymer material can be machined and drilled, and also files and sands well. 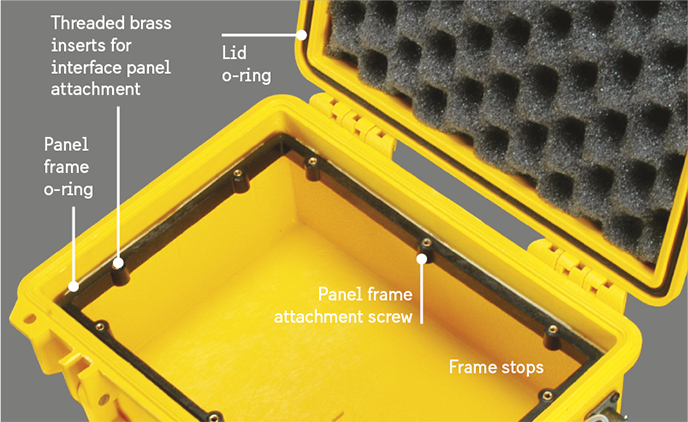 These properties make the Peli Protector™ Case well suited for customisation such as mounting bulkhead connectors, while maintaining a clean, professional appearance. Attaching equipment to the interior is equally simple by use of typical fasteners and mounting hardware. The hardware can be made water-tight by use of small o-ring, rubbers washers or silicone. We provide the mounting bracket, fasteners and o-ring which install beneath the panel and fit against tops molded inside the case walls. A polymer o-ring seals the panel so the case remains watertight, even with the lid open. Pre-drilled holes and stainless steel screws make fabricating a custom case faster, stronger and more accurate. The interior of the lid is also commonly used to attach accessories such as a wiring race, device holster or Peli's optional lid organiser sets. 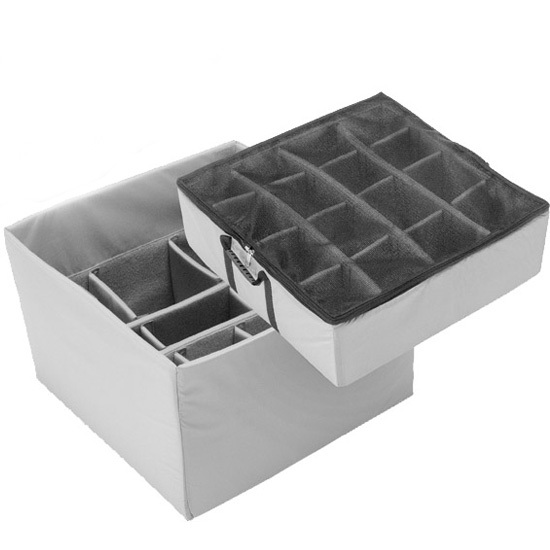 Select larger cases offer mounting bosses inside the lid for use with screw fasteners. 3M Products - Scotch Weld DP8005 or DP 8010 can be used with adhering custom parts such as Peli Quick™ Mounts in a Peli Protector™ Case. Peli Cases are molded from Polypropylene (PP) and for best results, should be adhered to similar material. 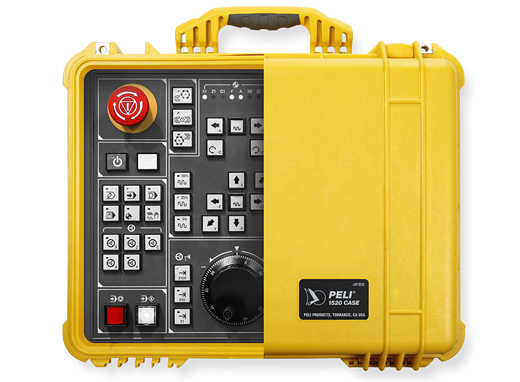 While Peli Quick Mounts are moulded of ABS, you should achieve satisfactory results if the mounts are allowed to cure for 24 hours before attaching elements such as an interface panel. Sensitive electronic systems such vibration, optometric, optic, telemetric, sensor equipment, ground stations or printed circuit boards (PCB) can be totally integrated in the Peli case by panel frames or foam. With the heavy duty wheels and telescopic handle, they can be rolled along anywhere in Peli cases while being protected from chemicals, humidity and dust. 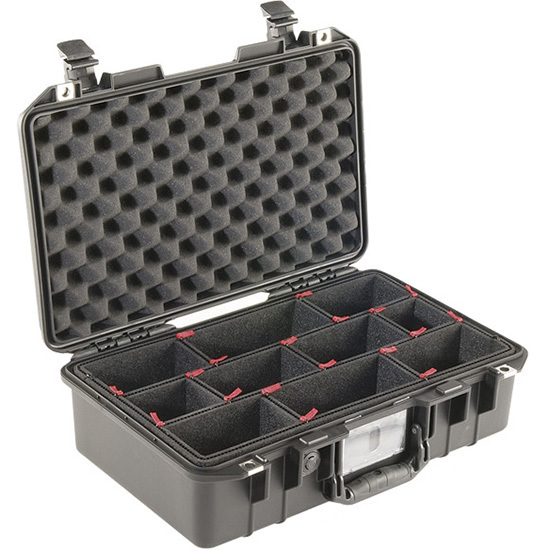 Peli's injection moulded indestructible cases are designed for professional applications, and includes strong rifle cases, waterproof protective pistol cases and tough boxes with trays for medical or emergency use (EMS). 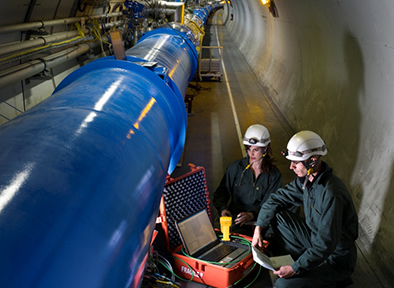 Besides, critical communications and IT equipment will keep their capability to perform to the highest standards even in the harshest environments. 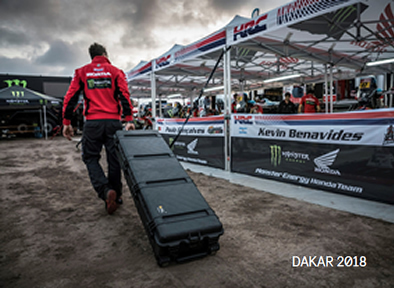 Peli cases have passed the strictest Military tests MIL C-4150J, STANAG 4280, Def Stan 81-41 and ATA compliance cases. An array of waterproof trolley cases with wheels, tow handle and different internal configurations like layered foam, cubed foam (Pick N Pluck™), TrekPak™ Dividers are Padded Dividers, will accomodate your camera, lenses, tablet or computer. 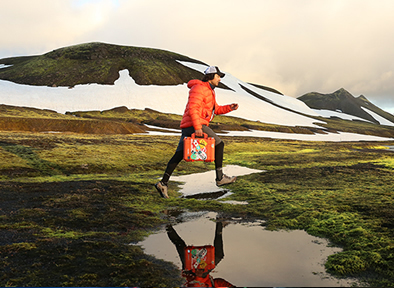 These resistant cases in special plastic resin compound will endure anything out in the wild! Our shockproof ATA compliance cases with wheels are ready to hit the road! A wide selection of impact proof cases for notebook, complete laptop computer cases and waterproof protective equipment case with wheels and pull handle that give travellers total peace of mind during their journeys. Travel safe with a Peli case!